But it's equally possible that his conscience got to him and he said "well that didn't go great so I think I'm gonna go where the women love white American males." if this happens to me ill just stay on the floor hands and legs out and not fu)king move, what can they do? My husband said to me.....that it is still considered "resisting arrest" if you just lie there and not move......(though, resisting arrest is better than being shot by an AR-15 with ammunition that "scatters" inside the body, (thus "appropriate" to use in a motel "safely". My husband and I heard this from the cop during his trial. It is available on YouTube). Apparently, more than you do. ..and yes it is easier to shuffle on knees with hands in the air than it is to walk when drunk. This is because you have more points of contact with the ground. There is also no reflex reaction when losing balance that would cause you to put one hand behind your back when crawling forward. The guy is dead because he was too stupid to follow instructions and the officer made the right call. If you don't see how cops would be less forgiving in an environment where people (radicals) are calling for their deaths and where incidents like Dallas are so recent, then you're doomed to ignorance. and you are doomed, my dear, to a bleak life of unrealistic Blacks or white thinking....there is a REAL world of humans and COMMUNICATION...those cops could have actually done a little "listening" on their own......the man was SOBBING...YOU have no compassion....and I would rather be "ignorant" than without empathy for my fellow man. Ah, I see... he was sobbing so the cop should have risked his life. Feelz. I guess that could be a new tactic - just cry a little to buy some time before shooting a cop dead. Brilliant. Regardless of feelings, the guy is dead because he reached behind his back after being warned not to do it. I've watched the video several times and it gets harder to watch every time. He seems to try and pull his trousers up, but the moment he was shot by a panicking imbecile his hand was empty and on the floor. No threat. 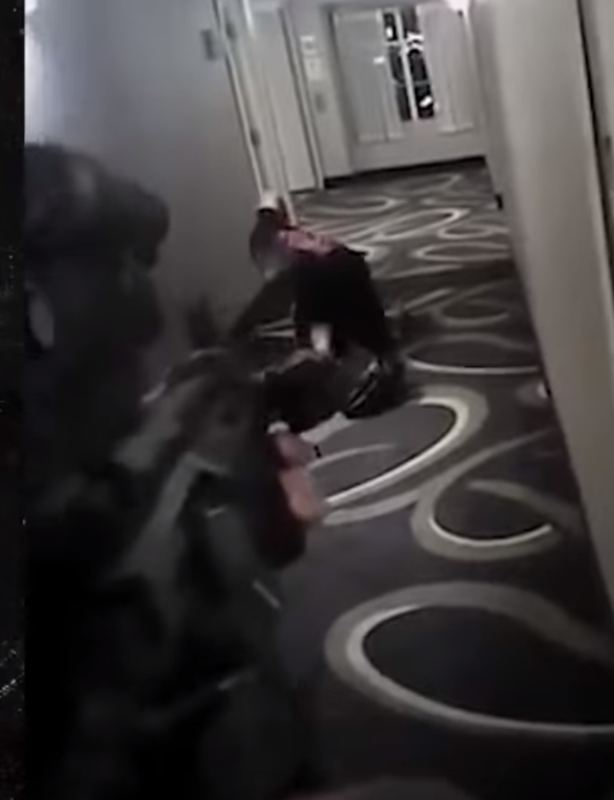 Here is the moment that the officer pulled the trigger. He is just metres away from a man who could be about to pull out a gun and shoot him dead. yeah it's all his fault if only he didn't have to crawl, cross his legs and keep his hands up, all while extremely rattled and already screwing up with all these commands. If only the cops could have checked him while he was flat on the floor and his hands outstretched. Oh wait they could have! Maybe even ask some questions! But instead lets play simon says with a cop screaming at you if you screw up I HAVE to kill you even though you are visually upset and possibly intoxicated. You're right all the guys fault for reaching the wrong way. I already said that the cop seemed like a douche and went overboard with his instructions, but at the moment he pulled the trigger he was fully justified in doing so. his overboard instructions are what led to a mistake and watching the video I felt the guy was gonna screw it up just by his state of mind and confusion. I just don't understand why it had to come to that when a simple pat down and search while the guy is on the floor and maybe a question or two and everyone goes home alive. the cop is in charge why make a difficult situation worse? Unless of course the cop just wants to be difficult.